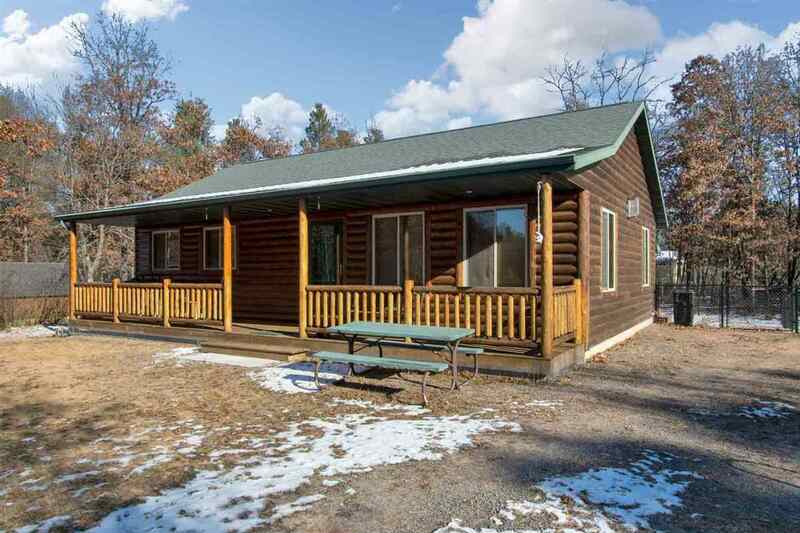 Log Cabin, Lake Camelot Access, Covered Front Porch, New in '05, Cul-de-sac Location! The perfect blend of earthy touches and modern convenience; warmth and comfort are the hallmarks of this lovely getaway. Excellent floor plan w/ great room design, floor-to-ceiling stone fireplace, cathedral ceiling finished in warm knotty pine, mission-style hickory kitchen w/ breakfast bar, dining area convenient to the backyard patio, large bedrooms, tons of windows for natural light, and classic finishes. Full basement stubbed for future bath, & egress window. Fenced dog run. Room to add garage. Convenient to Beach Club! Directions: Highway 13 To Apache Ave (E) To 8th Ave (N) To Richmond Way (W) To Rye Ct (E). Items Included: Range, Refrigerator, Dishwasher, Microwave, Washer, Dryer, Window Treatments.